Need a space outdoors where visitors and family members can socialize and relax? An Outdoor Room is like an outdoor kitchen, offering a place to cook food while holding conversations with guests or bonding with your household. With the "Giles" Grill Island Kitchen Project by Leisure Select you gain an outdoor kitchen, complete with a refrigerator, grill, side burners, sink, storage boxes and built-in smoker! 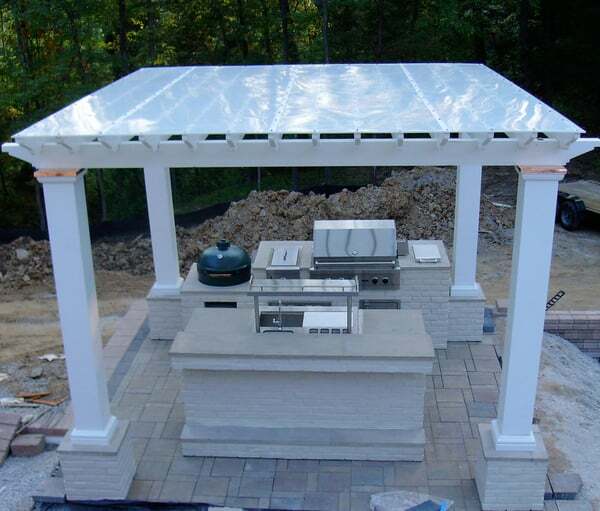 Nestled under an beautiful Pergola, this Grill Island is built to impress scrutinizing neighbors and visiting in-laws. 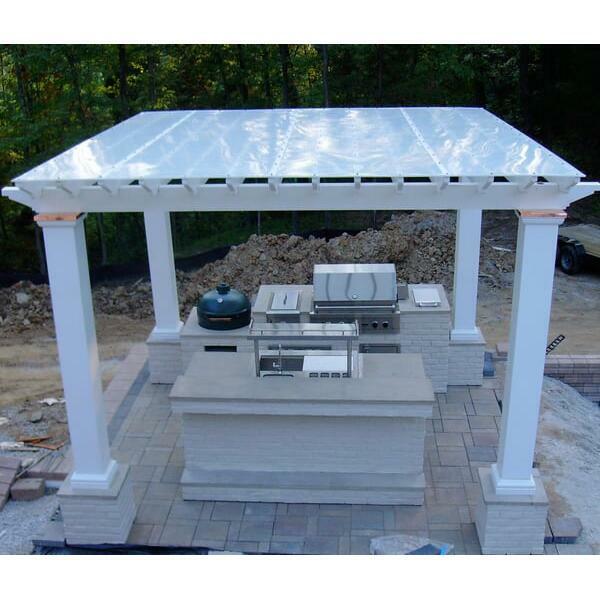 Do you like this grill island and pergola but are unsatisfied with the color of the wood, tile or stone? Completely customize this island, from the color of the tile and stone to the style of the columns and wood. Every aspect of this project can be changed to match the design of your home! Add an outdoor room unlike anything in your neighborhood! Contact us today and ask about the "Giles" Grill Island Project by Leisure Select! Simply the Best in Grill Islands, Kitchens and Outdoor Living!